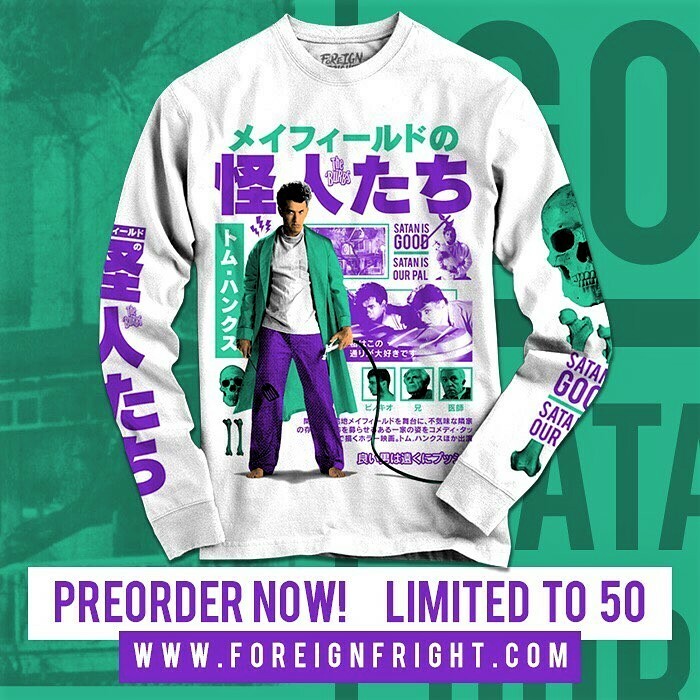 Horror clothing company Foreign Fright specializes in limited edition shirts with Japanese lettering have officially opened pre-orders on their THE BURBS THEMED SHIRTS that pays heavy homage to the 1989 Joe Dante classic featuring Tom Hanks in one of his final comedic roles. The movie follows Ray Peterson (Hanks) who lives in a quiet suburban neighborhood, which is turned on its head when a new family moves in. Peterson’s new neighbours, the Klopecks, are an odd group and when an older man goes missing, Peterson and his gang of friends determine to find out if the Klopecks are knocking people off. 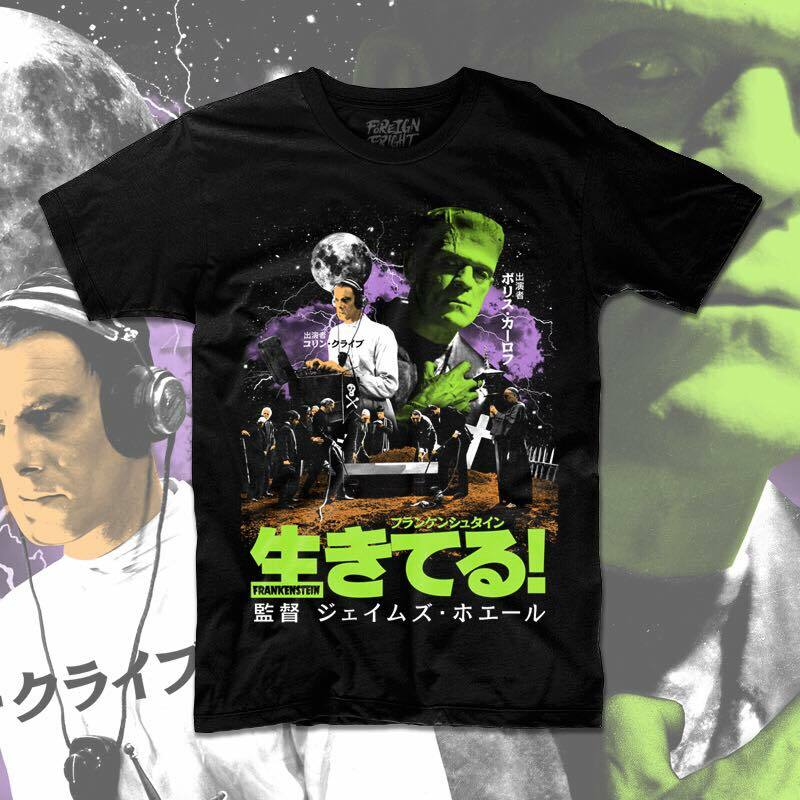 The shirts are available in short and long sleeves and feature a colourful collage of scenes with Japanese and English lettering all in a wonderful green and purple. The long sleeved shirt also features Japanese and English sayings on the sleeves. These shirts is limited to 50 and once they’re gone, they’re gone. (Ships out roughly 3 weeks after presales end).